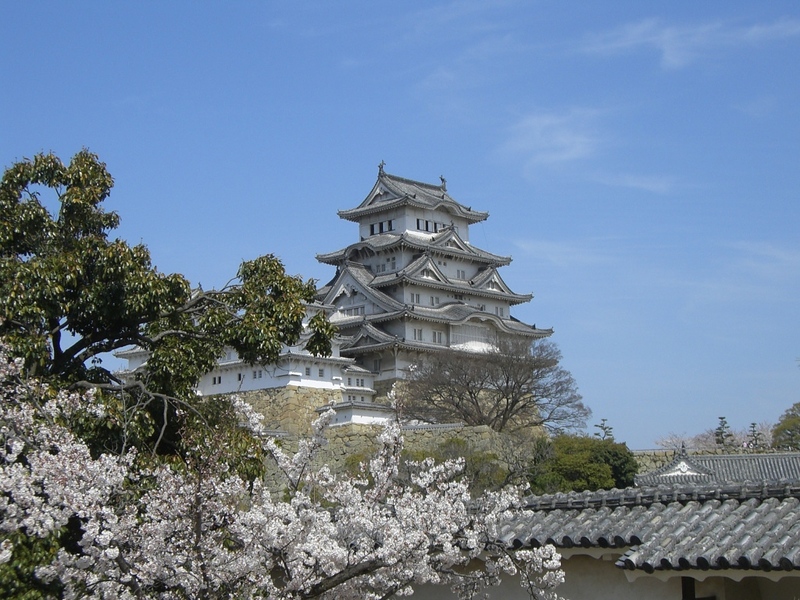 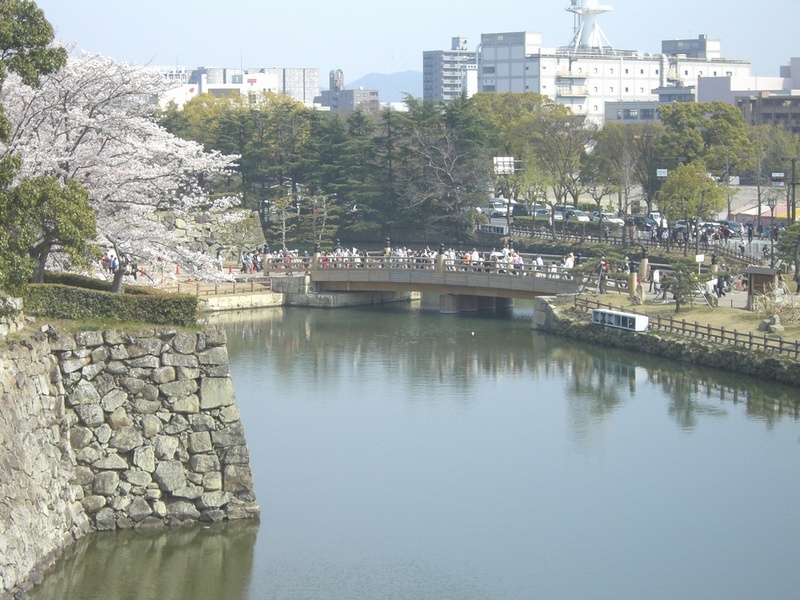 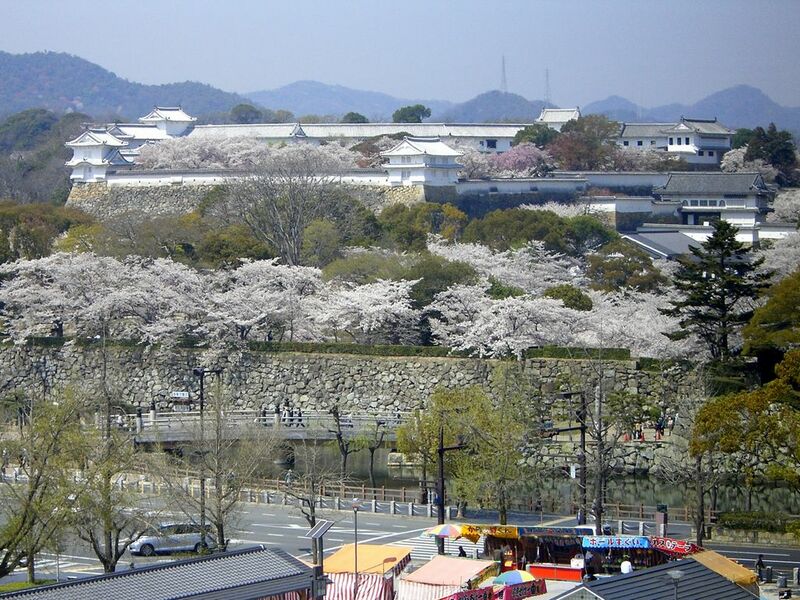 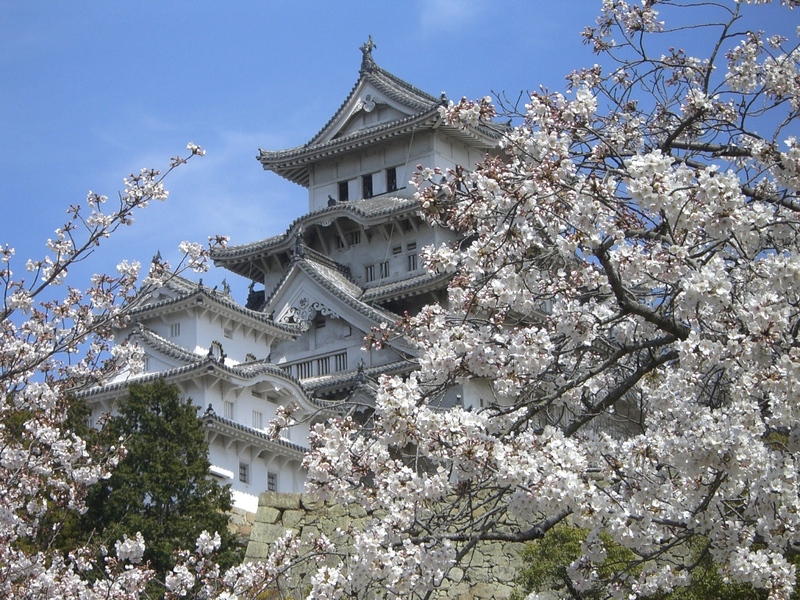 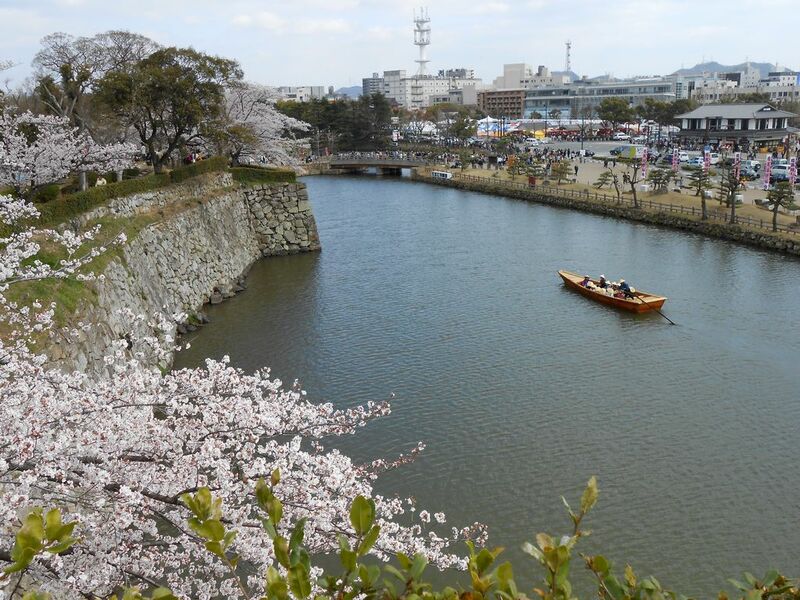 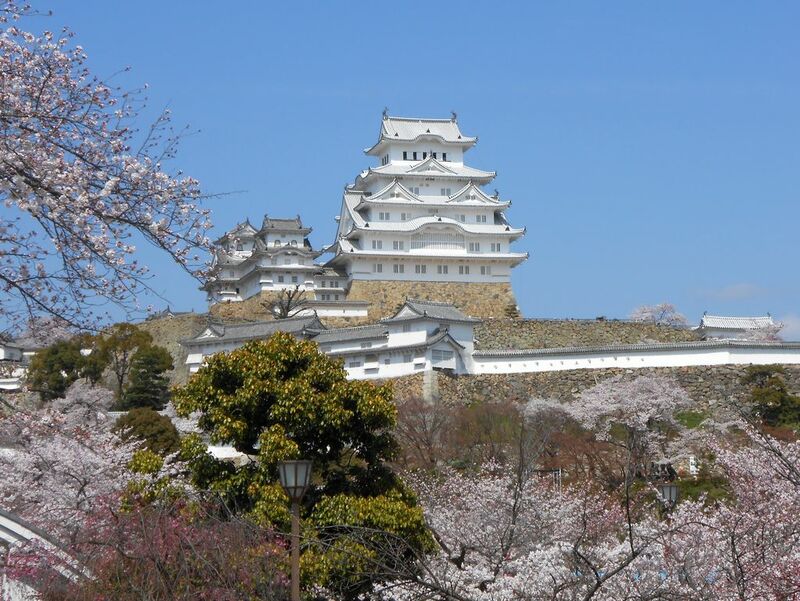 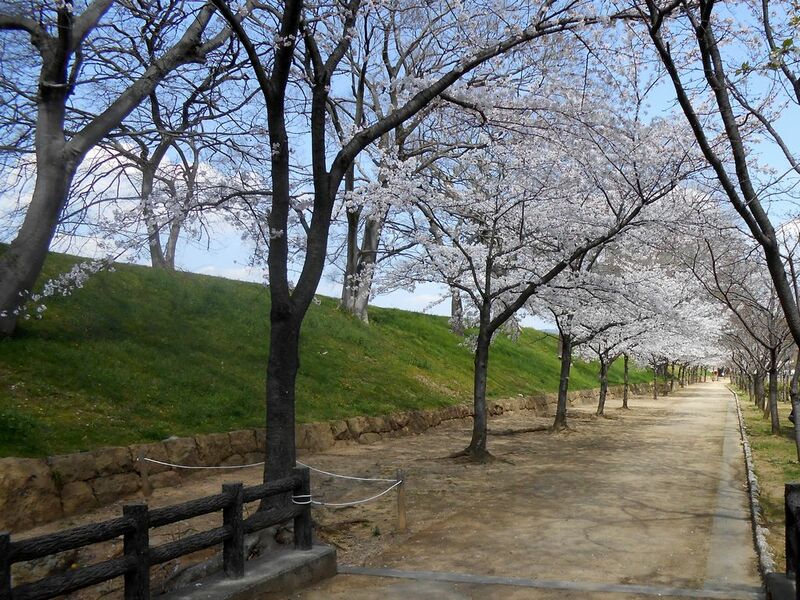 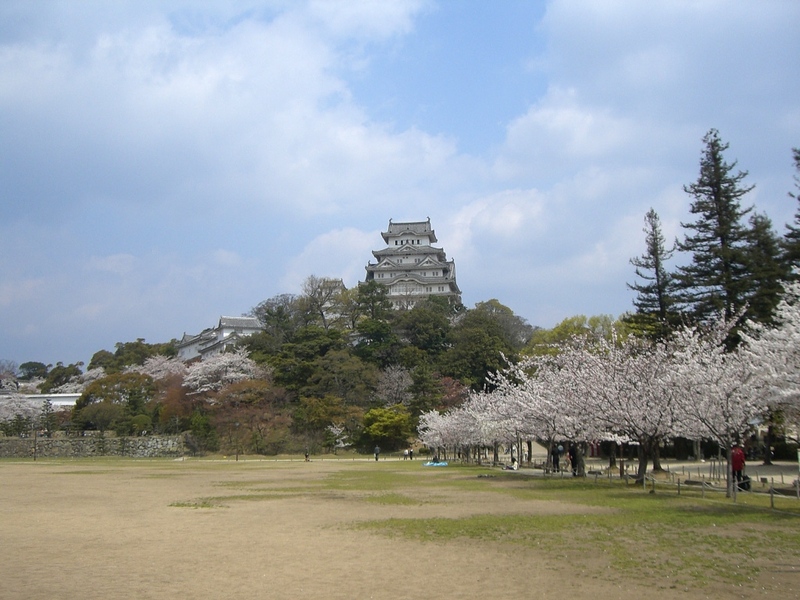 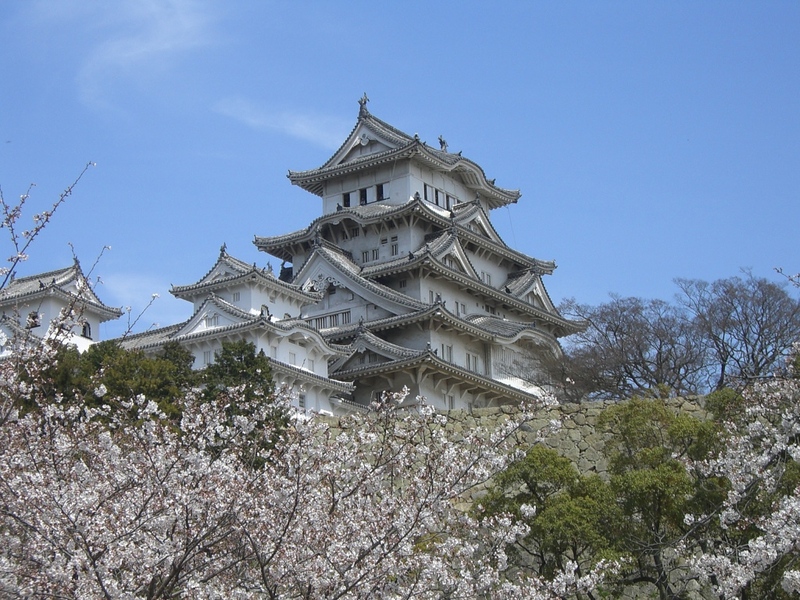 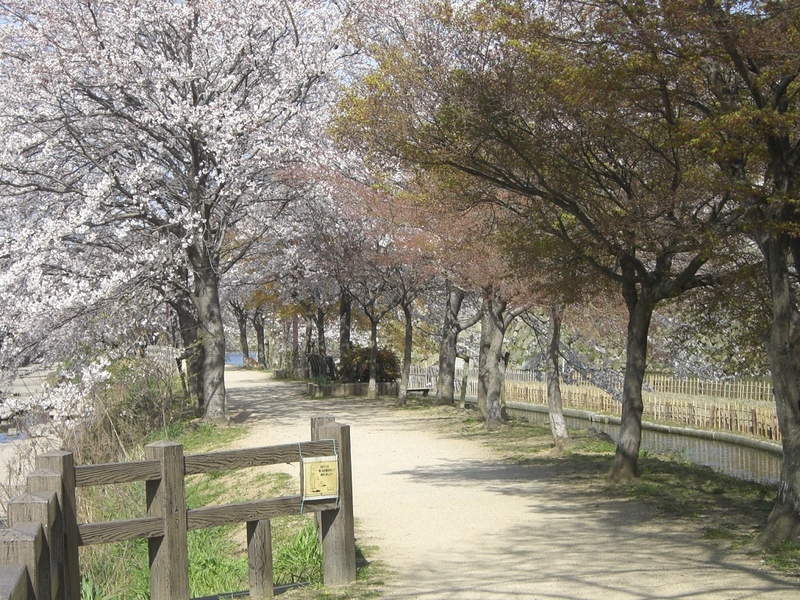 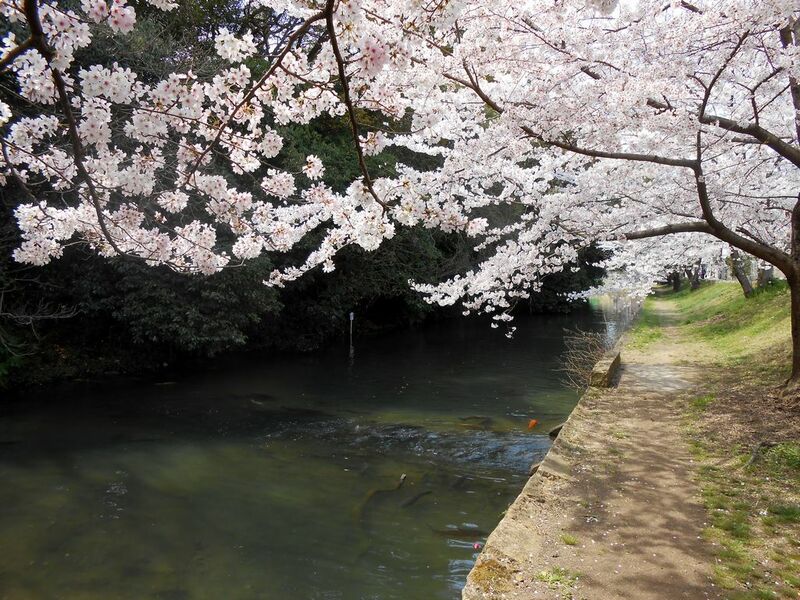 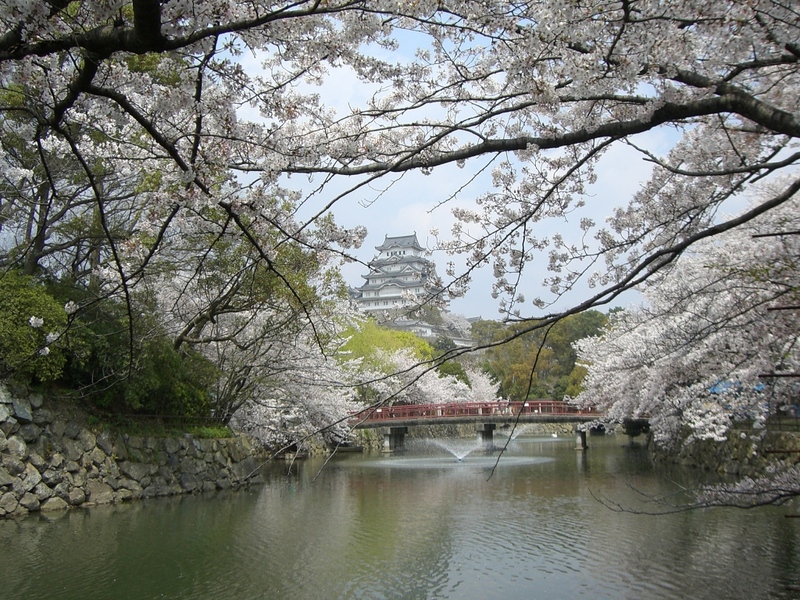 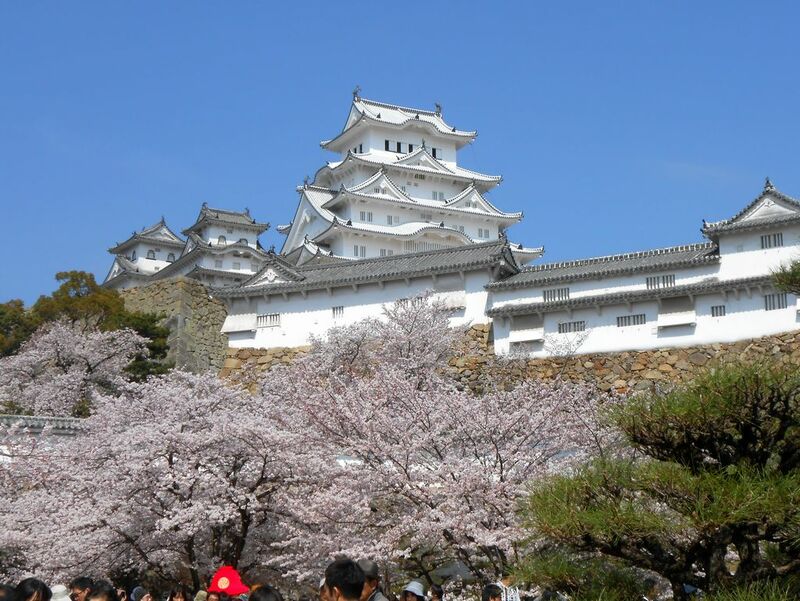 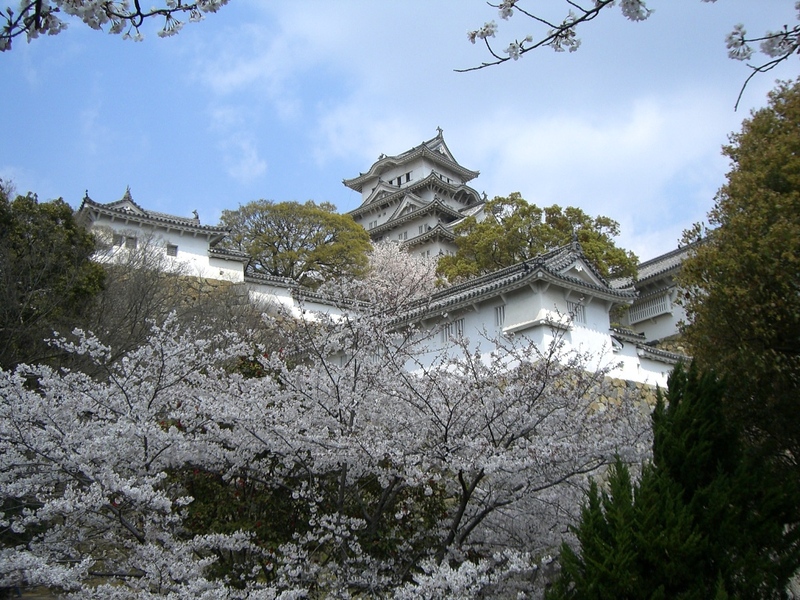 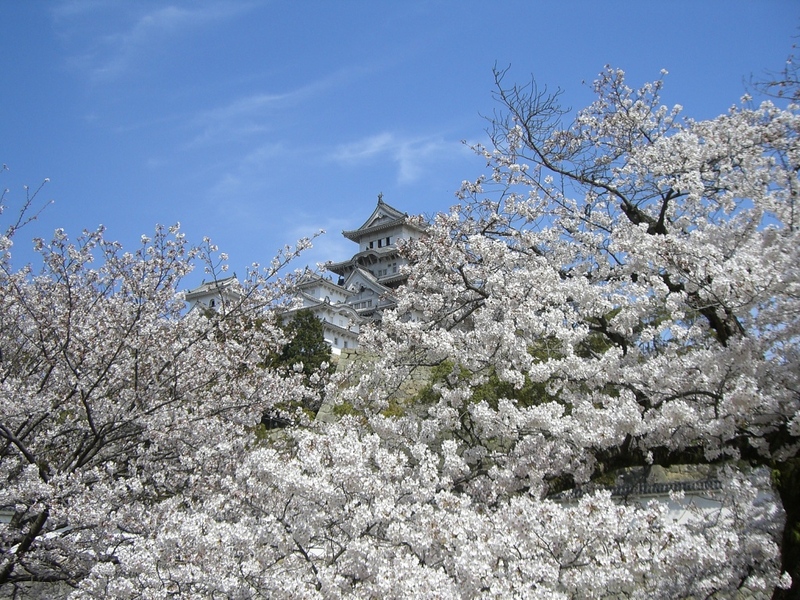 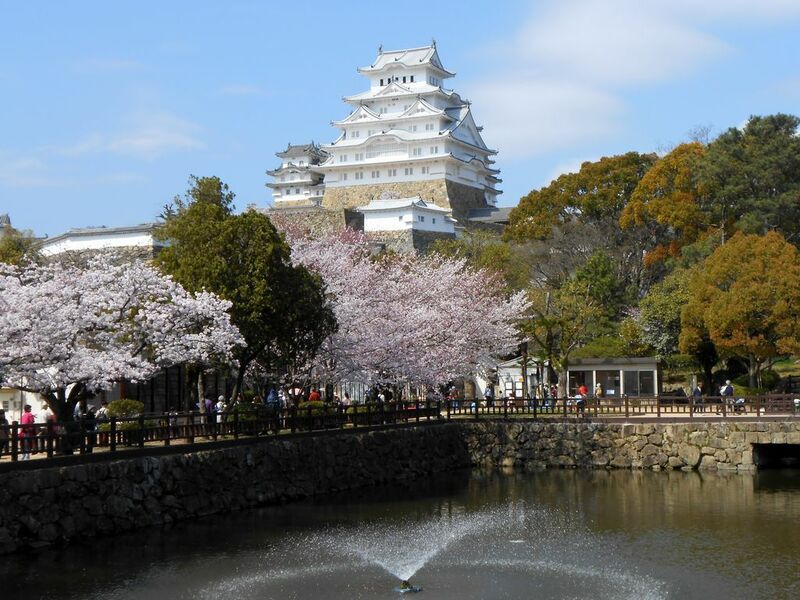 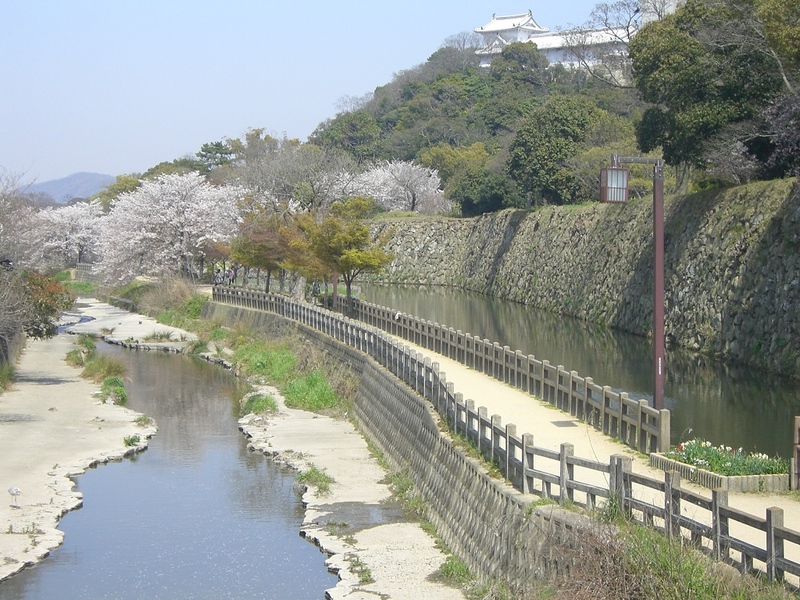 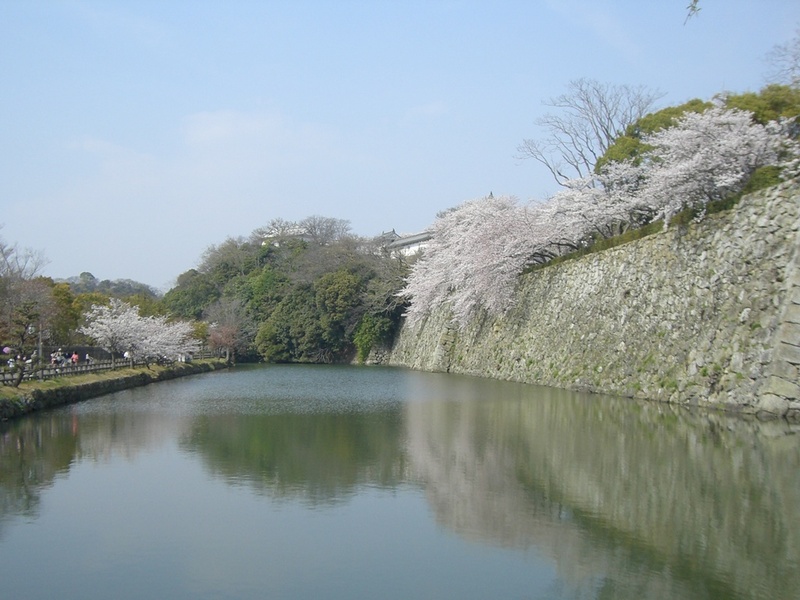 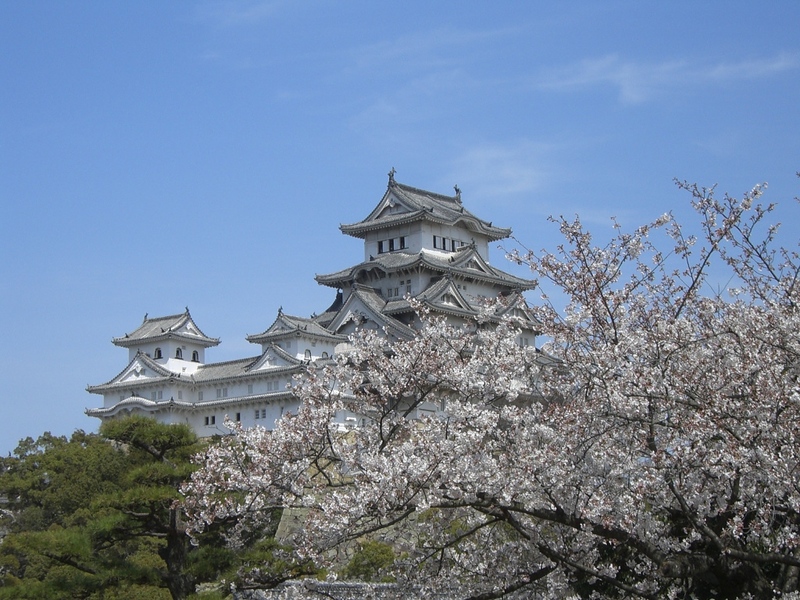 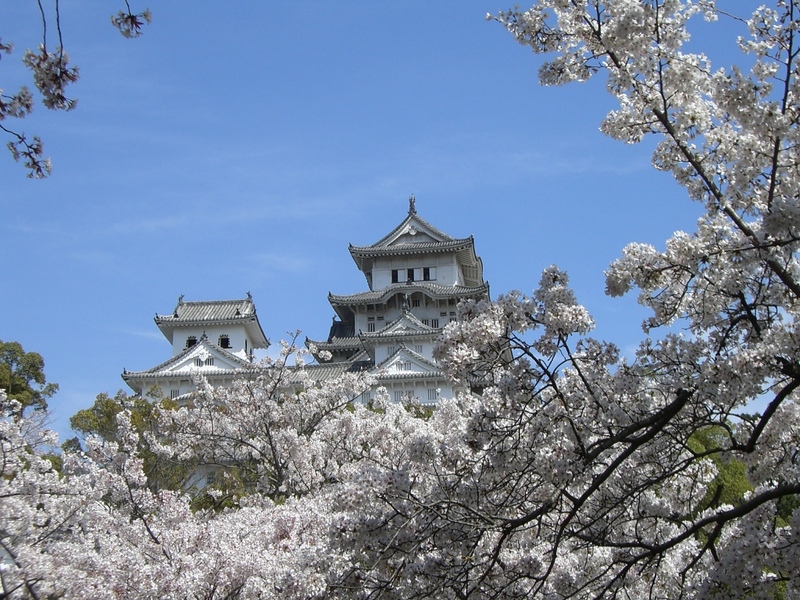 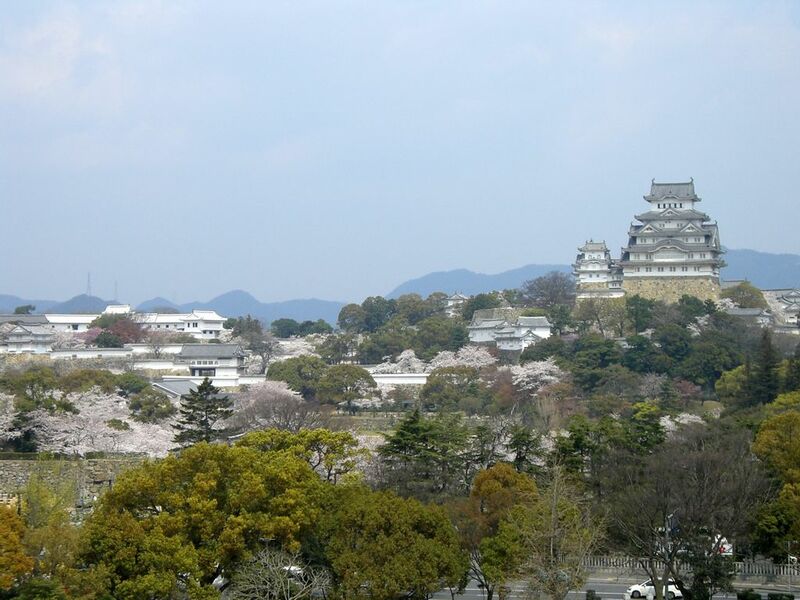 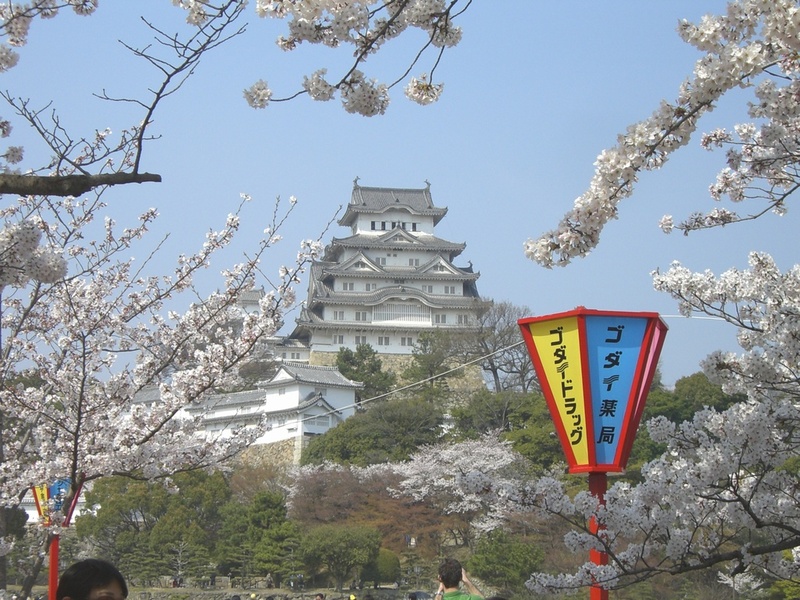 Many cherry trees are planted around Himeji castle such as Yoshino cherry, Yama-zakura and Weeping cherry tree. 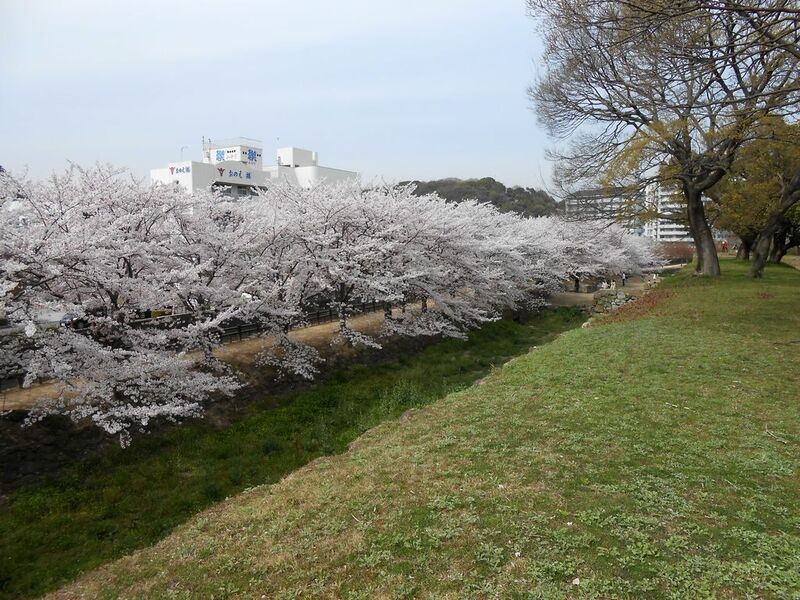 When spring comes, the flowers of those cherry trees bloom all at once. 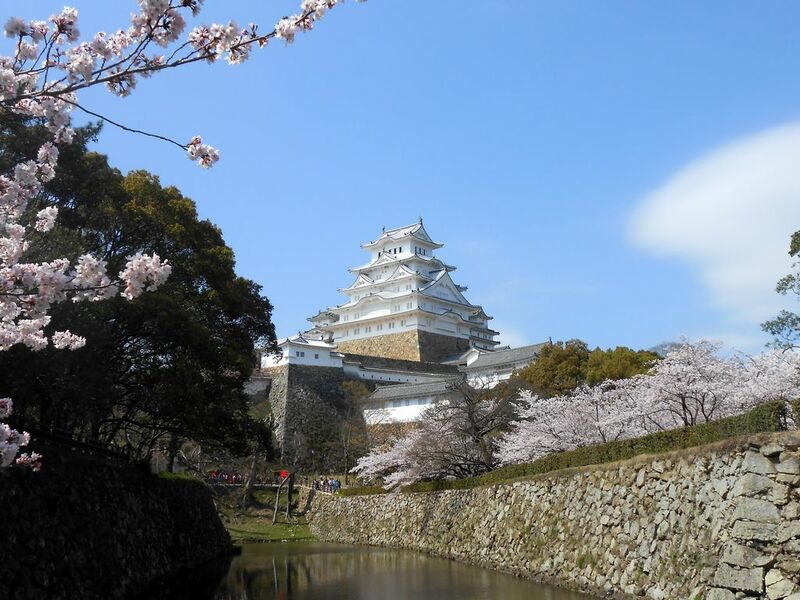 The sight which the soft deep color of the cherry blossoms shines in the white wall of Himeji castle is selected as one of Japan's Top 100 Cherry Blossom Spots. 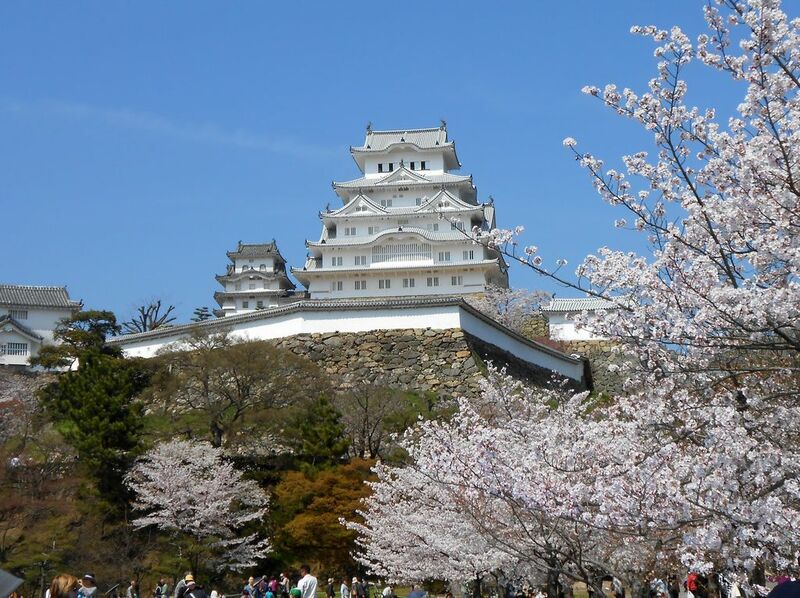 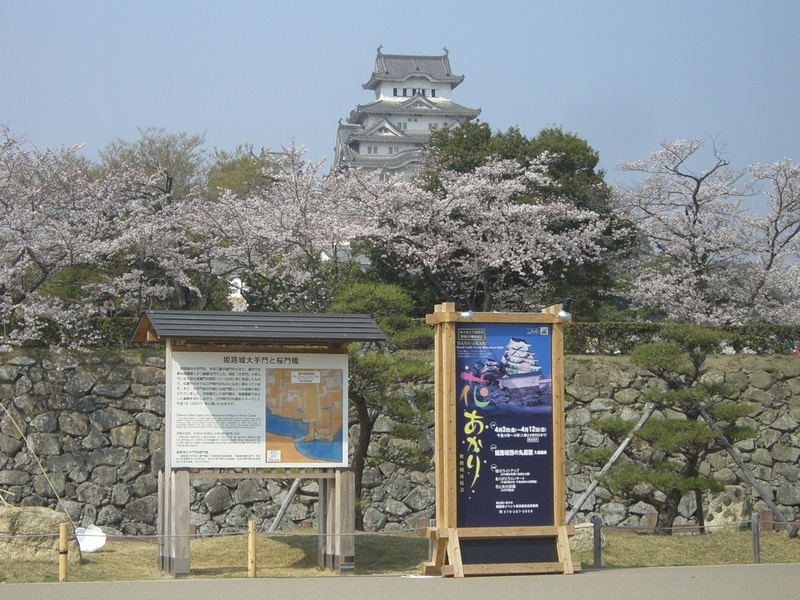 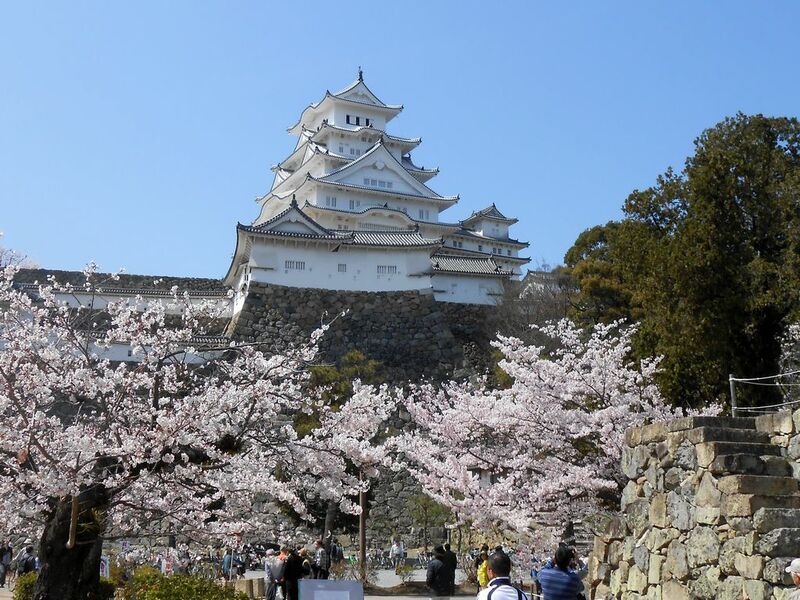 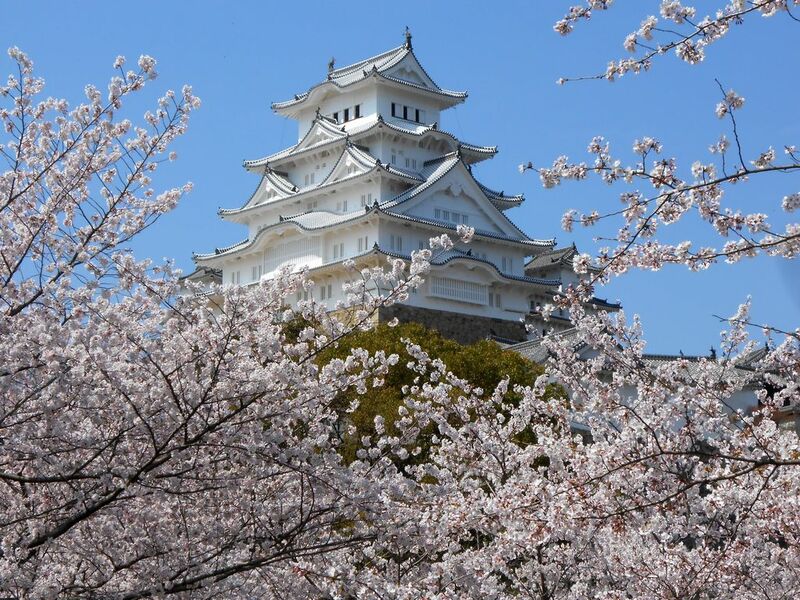 In addition, surrounded by cherry blossoms in full bloom, elegant events such as the Himeji Castle Cherry Blossoms Viewing Festival are held and familiar to citizens and tourists.